She has written about some of these subjects in freelance articles for American Visions Magazine and American Profile magazine-- a Sunday national supplement. She was chosen to participate in the American Film Institute’s Summer Dramatic Scriptwriting Workshop, The Warner Brother’s Regional Comedy Development Workshop, and the Sundance Institute’s Children’s Playwriting Workshop. She wrote the PBS Wonderworks movie, Brother Future, which won a Director’s Guild Award, a CEBA Award of Distinction and a National Programming Award. Her book and play, The Sanctuary, Cobblehill, 1994, was chosen as one of the 400 best children’s books for that year and was optioned by Producer Bill Blinn (Fame), and Sundance. Two monologues from the play are included in Childsplay; an anthology of children’s play monologues. The Sanctuary was also the basis for a children’s grief and bereavement program at Detroit’s Children’s Center, funded by the National Funeral Directors Association. Her non-fiction book: Slave Uprisings and Runaways: Fighting for Freedom and the Underground Railroad was published by Enslow Publishers in 2004. As a producer and writer, she wrote the documentary: Echoes across the Prairie: a documentary about Oklahoma’s black towns, which won a 1998 Gold Apple Award at the National Educational Media Network and was part of two museum displays. 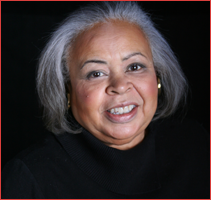 She taught writing and scriptwriting at Wayne State University and currently teaches at the University of Detroit Mercy where she is the former Director of the African American Studies Program. She also teaches scriptwriting for various workshops and writing forums.